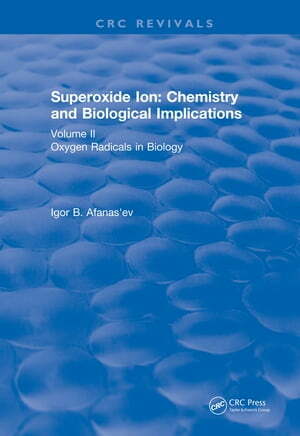 Collins Booksellers - Superoxide Ion: Volume II (1991) by Igor B. Afanas'ev, 9781351357449. Buy this book online. The chemical properties of superoxide ion, its biological role, and the role of other oxygen radicals which arise as a result of its transformations are contained in this text. In Volume I the principal reactions of superoxide ion, including protonation reactions with proton donors, nucleophilic reactions with esters, alkyl halides and other compounds, electron transfer reactions with quinones and metal complexes, are described.